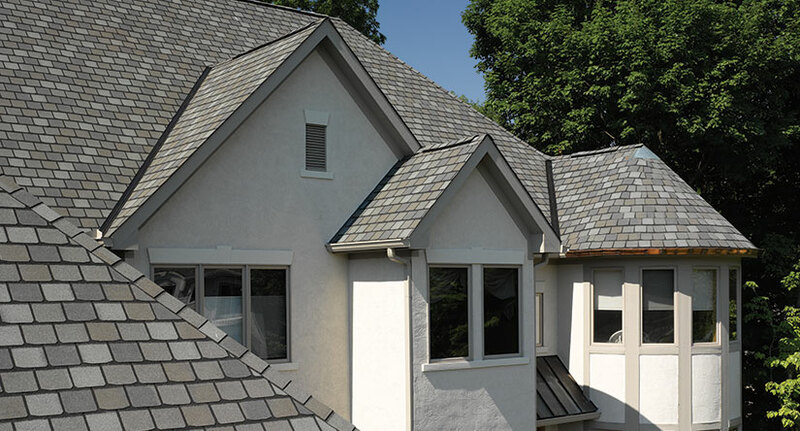 Simulated Slate Roofing Contractors Serving the Westfield, NJ Area Since 1999! Authentic slate roofing offers one of the most beautiful roofing solutions available, but for many it comes at too high a cost. Authentic slate is an expensive material to quarry, transport, install and is fragile to cut and can crack easily post-installation. Simulated slate shingles, also known as composite or synthetic slate, offer a modern improvement on this classic roofing design. Made from combinations of plastic and rubber, synthetic slate matches the beauty and uniqueness of real slate without the burdensome expenses or installation hassles. 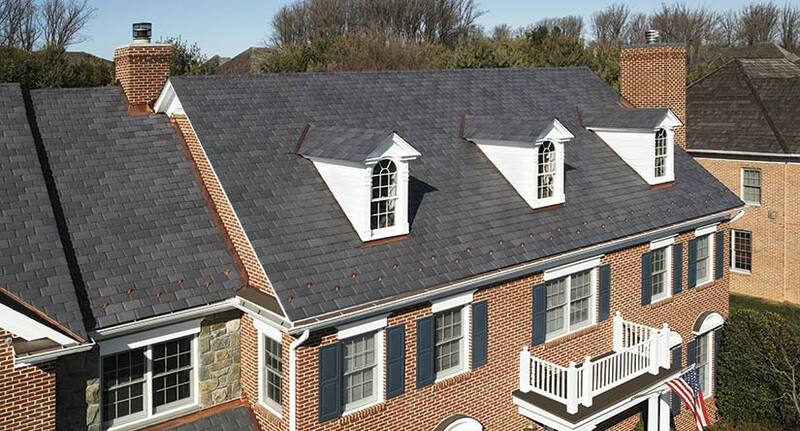 What’s more is that simulated slate shingles may also last longer. Powell’s Roofing & Siding has been one of the most respected simulated slate roofing companies servicing the Westfield, NJ area since 1999. Whether you need routine professional repair to a few composite slate roof tiles or need a major slate roof replacement, we are on call to help you. 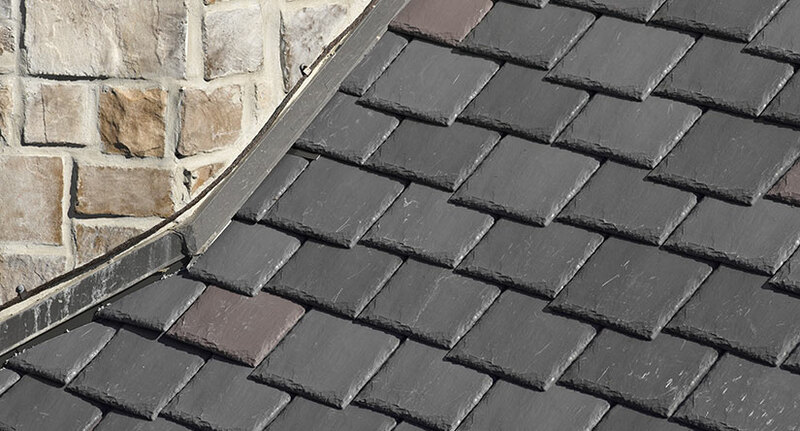 Our specialists are highly experienced in synthetic slate work and have been implementing repair and maintenance programs that have extended the life of slate roofs for countless clients. If you’re looking to install simulated slate roofing or repair an existing simulated roof to extend its life, we are the company to call. Despite its great durability, your simulated slate roof may need maintenance in order to last to it’s lifespan potential. Our experienced team has helped countless clients enjoy synthetic slate roofs that stand the test of time through yearly inspections and minor repairs. Our contractors will identify simulated slate roof tiles that may be cracked, loose or missing before the damage is severe, making sure that they are replaced professionally. 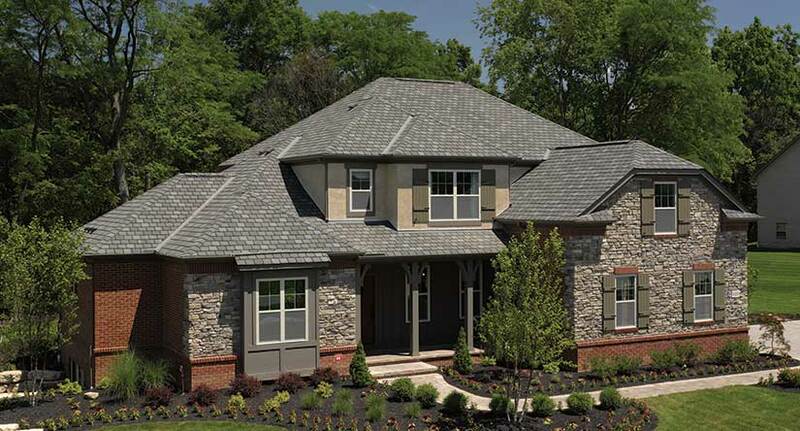 Our NJ slate roofing contractors have expertise in the most modern synthetic slate roofing solutions, such as new synthetic slate roof tiles and synthetic slate shingles. We will make sure that you get enough from your investment to last a lifetime. Sometimes it may be better to replace an entire roof than to perform expensive annual repairs. While it is rare when a synthetic slate roof replacement is needed, when that time comes you can rest assured that our roof contractors will manage any scale of roof replacement within in a reasonable timeframe.